The 2018 Football World Cup has started with an emphatic win 5-0 for the hosts Russia against Saudi Arabia. Of course the betting opportunities during the World Cup are endless and so it seems the Live Casino Promotions. 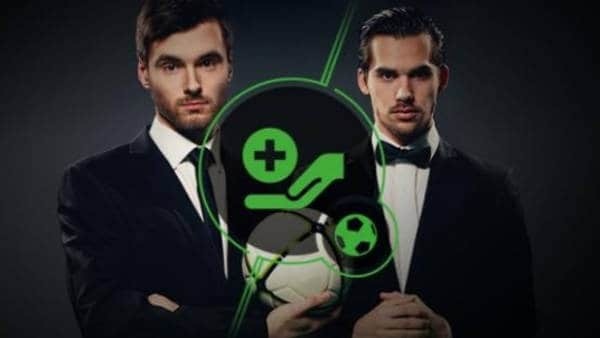 I’ve done a quick trawl through my favourite and best live casinos to see what’s being offered in the way of World Cup Live Casino Promotions. Mr Green has a few promotions and it’s taken me a while to sort out what’s what. 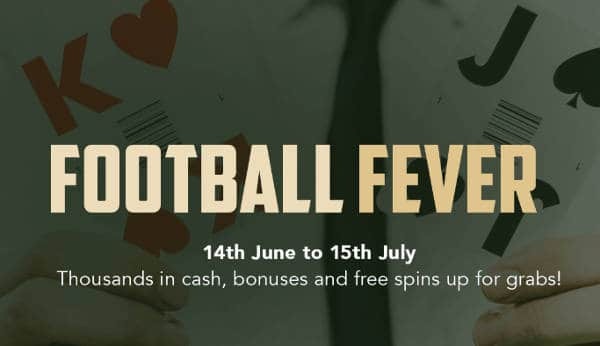 Live Football Promotion – Runs between 14th June until the 15th July. 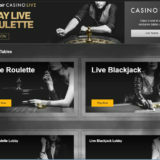 Only play on the Goal Smash Roulette Table, LIVE Beyond LIVE Blackjack Tables, LIVE Beyond LIVE Roulette Tables qualify for the promotion. Daily £5 Cash Bonus – Wager £20 each day and get a £5 Bonus. Must be used on Slots and comes with a 35x Wagering Requirement. Expires after 7 days. £75,000 Prize Draw – Get 1 ticket (max 50 a day) during the qualifying period for the prize draw for each £20 wagered on the tables. Only 200 tickets will go into each draw, so a pre draw will be held to select those. There will be 10 Prize winners for each draw, no wagering for the cash prizes. There are 4 draws and qualifying periods. £5,000 Draw:29th June (Qualify: 14th June -28th June). £10,000 Draw:4th July (Qualify: 30th June – 3rd July). £15,000 Draw:9th July (Qualify: 6th July – 7th July). £20,000 Draw:12th July (Qualify: 10th July -11th July). £25,000 Draw:16th July (Qualify: 14th July -15th July). This promotion runs on the new Evolution Football Studio table. Daily £10 Bet on Sports – Get 5 wins in a row and you’ll be given £10 to bet on Sportsbook. Up to a max of 3 bets a day. Football Studio Jackpot – A cash jackpot will be added to each day by £100 for each goal scored during the world cup. The Top 10 players that have had the most wins on the table during the promotion period will share the total Jackpot equally. 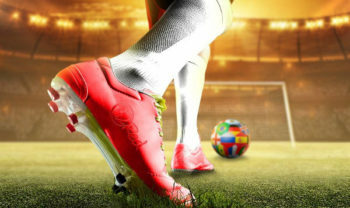 Codeta has a mixture of live casino promotions for the 2018 World Cup. A deposit of £20 is required and you’ll need to opt into the promotion. For every £20 you wager on Evolution Live Football Studio Table you’ll get one ticket into the prize draw. Draw 1 qualification period: 14th June – 17th June. Draw 2 qualification period: 18th June – 24th June. Draw 3 qualification period: 25th June- 1st July. Draw 4 qualification period: 2nd July – 8th July. Draw 5 qualification period: 9th July – 15th July. In each draw there are five Cash Prizes from £1000 to £50, shared between 37 winners. 4 Bonus Money prizes from £100 to £10 shared between 90 winners. 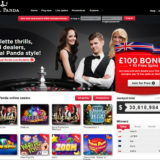 2 Free Spins Prizes from 50 to 25 Spins between 100 winners and a consultation prize of 20 free spins from anyone not winning a prize and having 20 or more tickets in the draw. There is also a 25% Cash Back on Net Losses up to £100 calculated at the end of the Promotion Period. 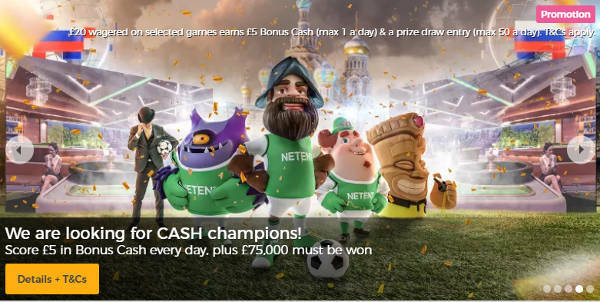 This is a network promotion run by NetEnt, meaning that players at other Casinos also quality for this promotion if they’ve been opted in. There’s two parts to the promotion. 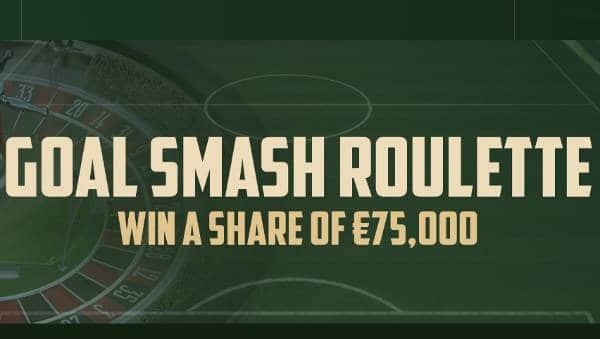 For every €20 you wager on the Goal Smash Roulette table you’ll win a €5 Bonus (max 1 a day). You’ll get one ticket for the prize draw (max 50 a day) for every €20 you wager on the Goal Smash Roulette table. Out of all tickets holders, 200 will be pre selected to enter each draw. The prizes come with 35x Wagering and must be used within 7 days. Draw 1 29th June (Qualifying period: 14th June – 28th June) – Prize pool €5,000. Draw 2 4th July (Qualifying period:30th June – 3rd July) – Prize pool €10,000. Draw 3 9th July (Qualifying period: 6th July – 7th July) – Prize pool €15,000. Draw 4 12th July (Qualifying period: 10th July – 11th July) – Prize pool €20,000. Draw 5 16th July (Qualifying period: 14th July – 15th July) – Prize pool €25,000. Each draw is made during the evening in 5 separate parts. The promotion runs between the 14th June until the 15th July. Wager £20 on the Football Studio table and get £5 money cash back (1 per player per day). There are no wagering requirements, cash is deposited into your account. The promotion runs between the 14th to 28th June. Play Football Studio, get free sports bets. 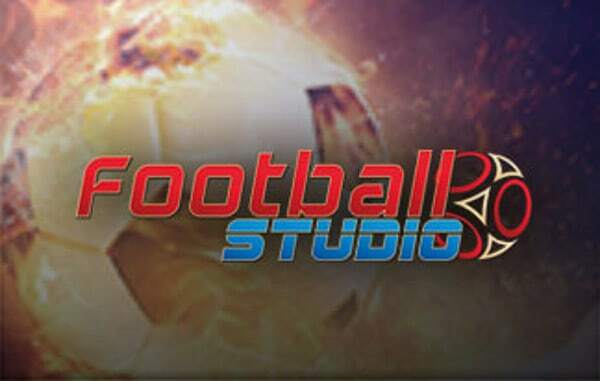 Wager £100 on the Football Studio table and get a £5 sports bet, up to a maximum of 15 per player. Sports bet to be used withing 90 days. For every £5 you wager you’ll get 1 ticket into the daily £1000 prize draw. There are 100 prizes of £10 each. Only one prize per person per day. 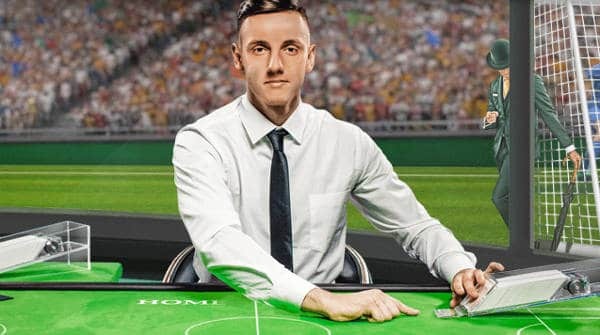 There are a few World Cup Promotions, this one caught my eye for Live Blackjack players in particular. There are two parts to the promotion. You need to make a bet of £10 or more to quality on the 32Red Dedicated Blackjack Table. Opt in before playing. 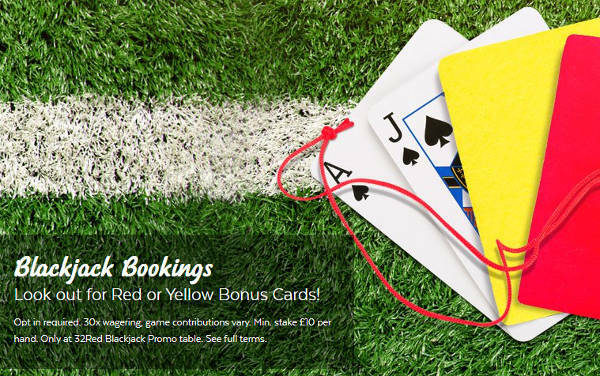 If you get dealt a yellow card you’ll win a £10 Bonus + one Entry into the Final Prize Draw. If you get dealt a Red card you’ll win a £20 Bonus + one Entry into the Final Prize Draw. Players using Bet Behind do not qualify for the promotion. 1st Prize of £1,500 cash. 2nd Prize of £500 cash. 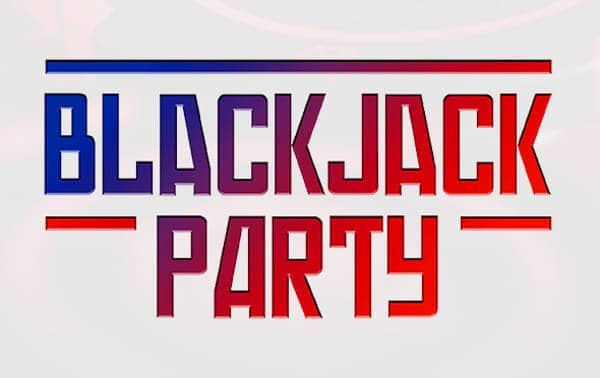 Blackjack Party – Promotion runs 14th June – 15th July between 9:30 pm to Midnight. Only for play on the Genting Live Blackjack table. You have to have deposited at least £20 during the previous 7 days to qualify for the promotion. Coloured cards will be shuffled into the dealing shoe on the Genting Blackjack Table. There are 4 different coloured cards. A blue card you’ll get a Free £10 Sports bet, to be used within 2 days. 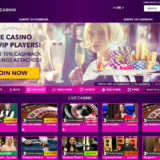 A green card you’ll get A £10 Free Casino Bonus, 5 x wagering in 2 days. A red Card you’ll get 10 Fee Spins on Ted, 10 x wagering in 2 days. A Golden Card you’ll get £10 Free Sports Bet, £10 Free Casino Bet and 10 Free Spins on Ted.